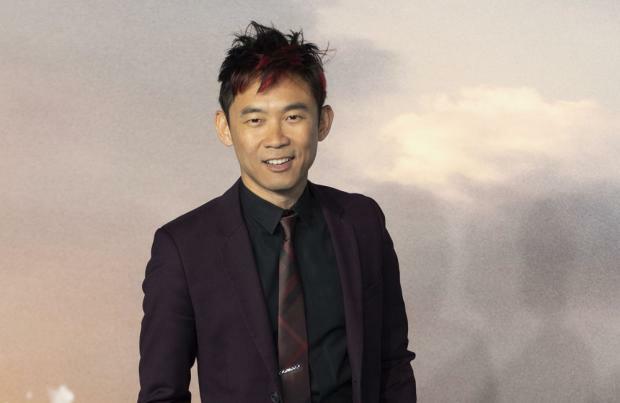 'Aquaman' director James Wan ha admitted it was a "challenge" to make the superhero's iconic green and yellow suit look "cool"
James Wan admits it was "a challenge" making a cool version of the 'Aquaman' suit. The filmmaker behind the new blockbuster wanted to find a way to pay tribute to the DC Comics material while giving the character – played by Jason Momoa – an edgier twist in the iconic green and yellow. Speaking to Cinemablend, he said: "It's not the easiest suit to make look cool. [Laughs] If you are doing a Batman movie, that's an easy one to make look cool! But an Aquaman suit? It was a bit of a challenge. "But at the end of the day, what ultimately made it work was that the suit itself is so inherently part of the story. And the fact that it actually has an origin." Wan explained how the costume's beginnings as the suit of the "first king of Atlantis" added weight to it being included, and meant he wasn't simply including it for the sake of it. He added: "The suit itself, it belonged to the first king of Atlantis. By doing stuff like that, by working it into the story and plot of the film, it just gives it a bit more weight, and it's not just a cool suit, or whatever, for the sake of making him look like the comic book character. "Though, I really wanted him to wear his classic suit, but it took a lot of design work to get it there, to get it looking right." Meanwhile, it has been revealed 'Aquaman' has already passed the $250 million mark at the box office even before its US release on December 21. It pulled in $126.4 million over the weekend from 43 territories, putting its global total at $261.3 million. Its biggest audience has been in China thus far, with another $52.2 million earned just this past weekend alone. Jason Momoa stars as the heir to Atlantis in the latest DC superhero flick.